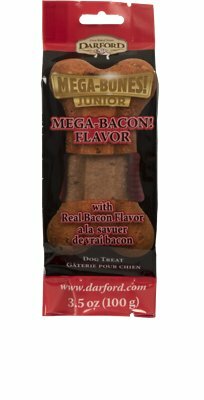 Darford Mega Bacon Flavor Junior Bone Dog Treat gives your dog the scrumptious taste of bacon in a crunchy, junior-sized mega bone. Deliciously meaty, these treats are made with ingredients locally sourced in North America. Rich in antioxidants and vitamins, this recipe includes bacon fat, flaxseed and wheat flour for palatability and nutritious benefits. 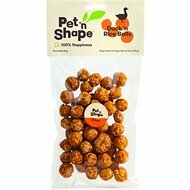 The hard-baked texture ensures longer gnawing time, helping to clean your pup’s teeth as they crunch on this large, healthy treat. This junior-sized bone provides the same great crunch as the mega bone, but with a more compact size and fewer calories. 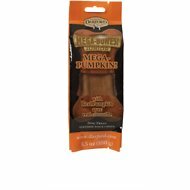 Your dog is sure to go crazy for the mega flavor in this mega bone. 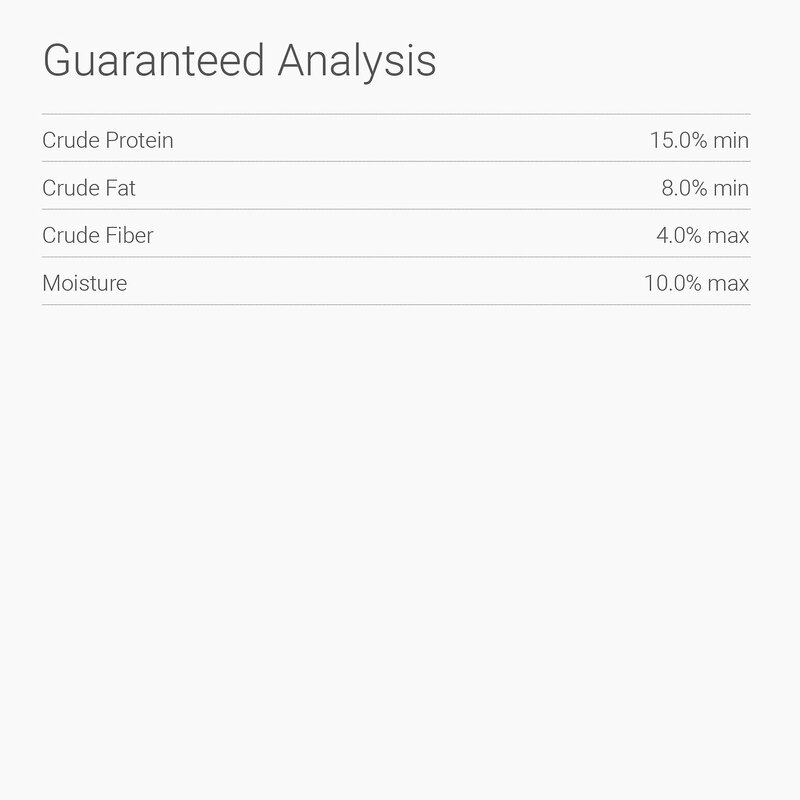 Crunchy, bacon-flavored junior bone is made and sourced in North America. 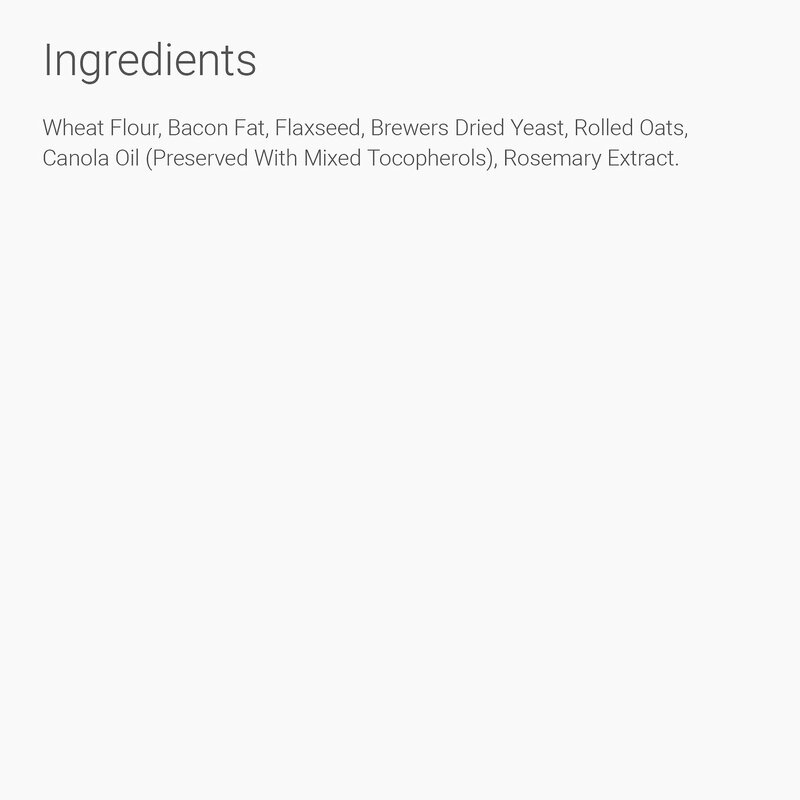 Wheat Flour, Bacon Fat, Flaxseed, Brewers Dried Yeast, Rolled Oats, Canola Oil (Preserved with Mixed Tocopherols), Rosemary Extract. Marley loves these bones but they are arriving broken they need to be bubble wrapped. Only complaint. This bone contains about the same amount of calories that my 40-lb dog eats at a meal, so I give it to her instead of dinner sometimes as a special treat (to mix things up) or as a meal when we won't be home so I don't have to worry about packing her food and a bowl. She loves them! They completely crumbled all over. I thought they were going to be hard and crunchy.